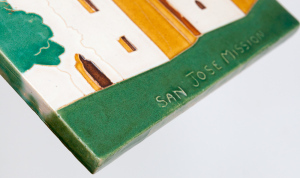 After reading through Colors on Clay, a fantastic book devoted to San José tile workshops, I believe that my tile was created by Mission Crafts (1941 - 1977), a workshop owned and operated by Ethel Wilson Harris in post-WPA years. 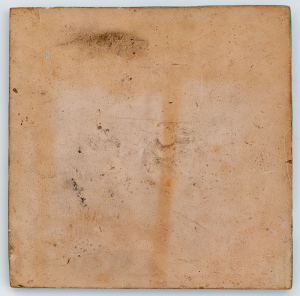 While the early tiles were made using a time-consuming cuerda seca (dry line) method, in 1970s almost all tiles were made with cuenca (raised line) and sold through a souvenir shop. 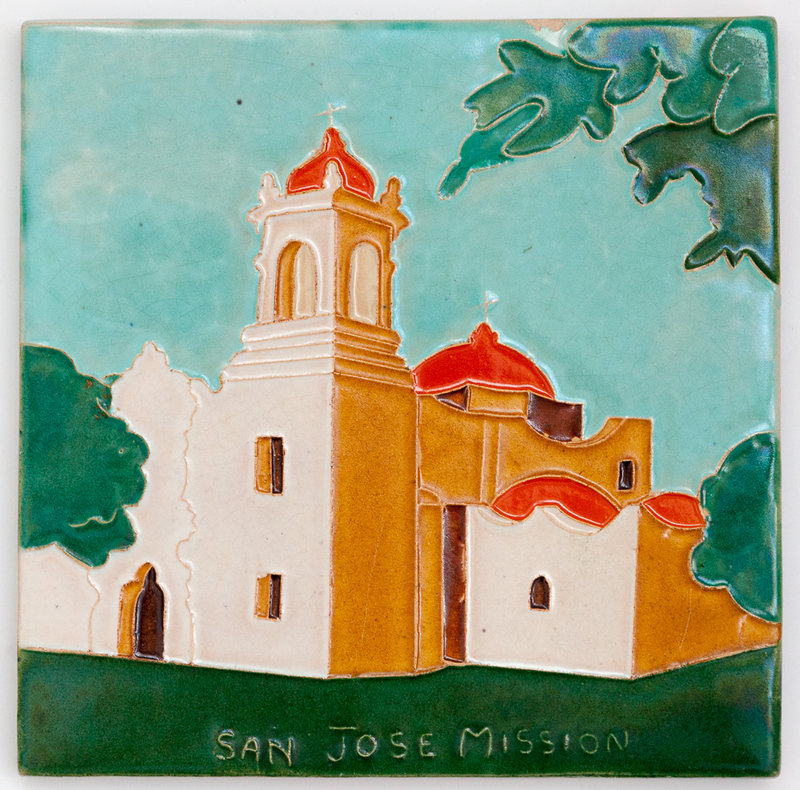 My tile, done with cuenca, depicts San José Mission. 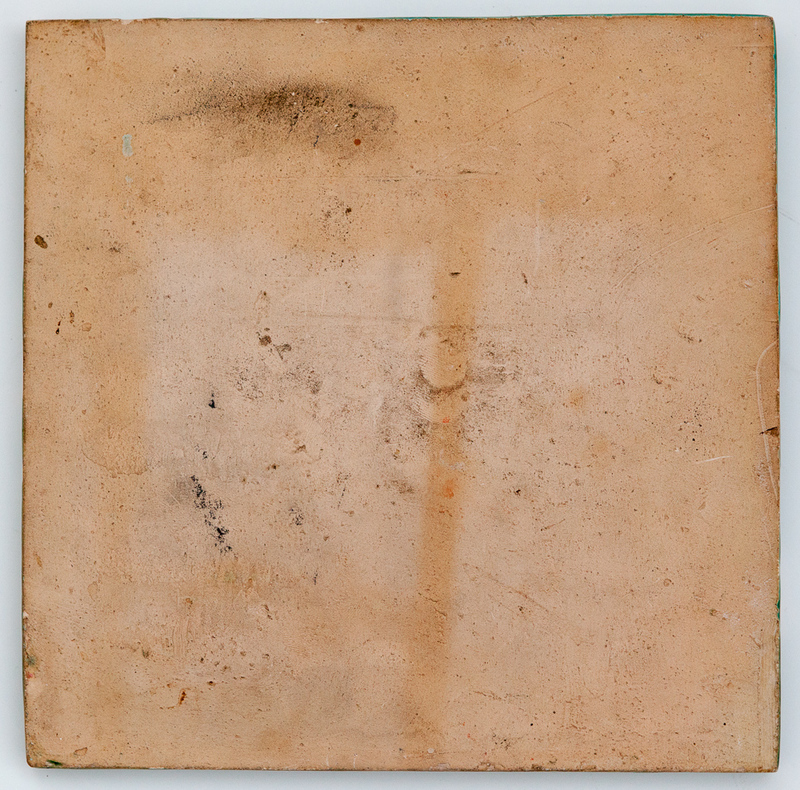 A very similar design with some minor differences is shown on page 44 of the Encyclopedia of American Art Tiles, Region 5. Aside from a small chip at the top, it is in excellent condition. Dimensions: 8 1/4" x 8 1/4"